Catch Exe Bubble Football in One Magazine’s January Edition. Get insight into their hilarious Bubble Football antics! It was great to see the whole team going all in, hits were coming from left, right and centre. It was hard to keep the laughter of our faces as we reffed and photographed them, the pure effort they put into jumping and rolling into their colleagues was excellent to watch. Here’s a few insights into their great Bubble Football experience. 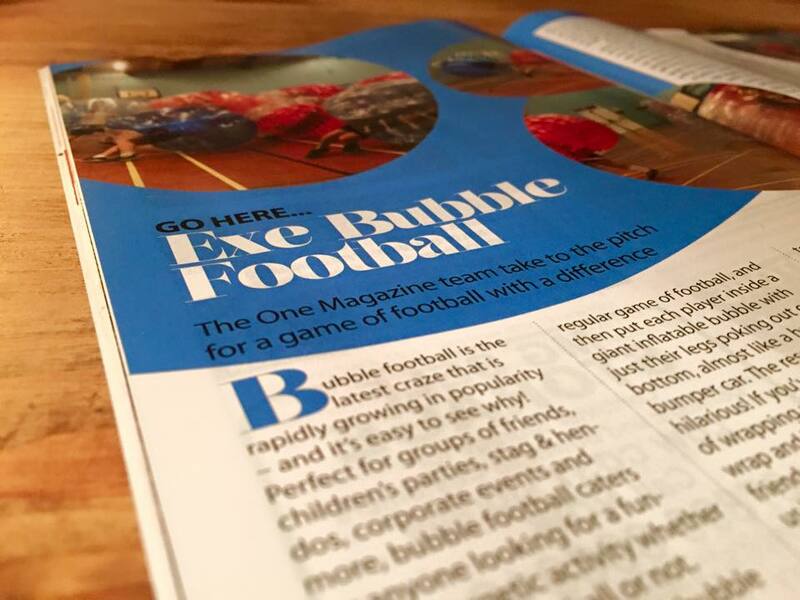 A big thank you from Exe Bubble Football to the great bunch of people at One Magazine!